Our in-house production team will guide you from the beginning to the very end, to help you bring your project to fruition. PNH introduces you to the scope of possibilities. By carefully listening and understanding the extent of your project, PNH helps you choose products and services that meet your requirements and exceed your expectations. PNH fully customizes your project. With a wide variety of substrates, inks, finishing options and standard or made-to-measure hardware solutions, PNH helps you personalize your products to best reflect your brand personality. PNH helps you conceptualize your project. Through 3D rendering and modelling, PNH makes it easier for you to visualize and make any necessary changes to your project. PNH puts your project into effect. Using state-of-the art large-format printing technology, PNH offers the highest-quality products for your project. PNH adds the final touches to your project. Through these last cuts and stitches, PNH perfects your products to meet your specific requirements. PNH brings you your project. Our time-sensitive turnaround, delivery and installation ensures that you have your products when and where you need them. PNH is an experiential marketing company that specializes in large-format printing and custom hardware construction for sport and stadium look items, event, retail and exhibit marketing solutions. Printed, built and finished in-house using the latest technology in the industry, PNH offers you a turnkey solution to meet your specific needs. What types of materials can you print on? We offer a wide variety of substrates to fit your exact need. Please refer to our product section for more information. Our experienced project managers work with you at every step of the way, from the consultation, conception, production, finishing to the shipping and installation, to ensure you are fully satisfied. We work with you and your budget in mind, and ensure that all delivery timelines are met. Do you offer 3D rendering services? Yes, we have a full time 3D graphic artist on staff that can help you visualize and make any necessary changes to your project in a representative 3D environment. Do you make customized products? In addition to our existing products, we can manufacture custom products for your project. Our in-house research and development specialist can help turn your idea into a reality. Can I change the visuals on a booth that I have used in the past? Of course ! You can either send us the specifications of the booth, and we can prepare the visuals for you. Or, your can send us the booth, and we can install the visuals for you. Whatever is easier for you! Does PNH have a delivery and installation service? Yes! Over the years we have worked with installers all over Canada and the United States. So we know which ones to call upon for jobs that meet your specific needs. 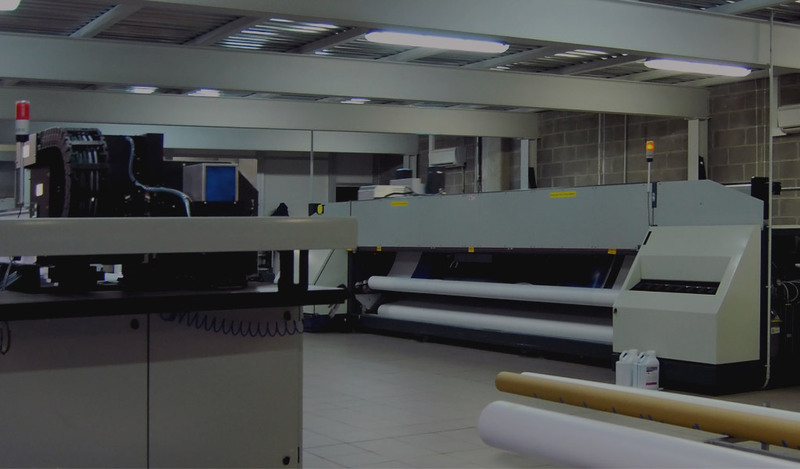 What is a typical turnaround time for a large format printing job? Once we receive the artwork, it typically takes us 10 business days to complete your project. We also provide express services, at an additional cost.